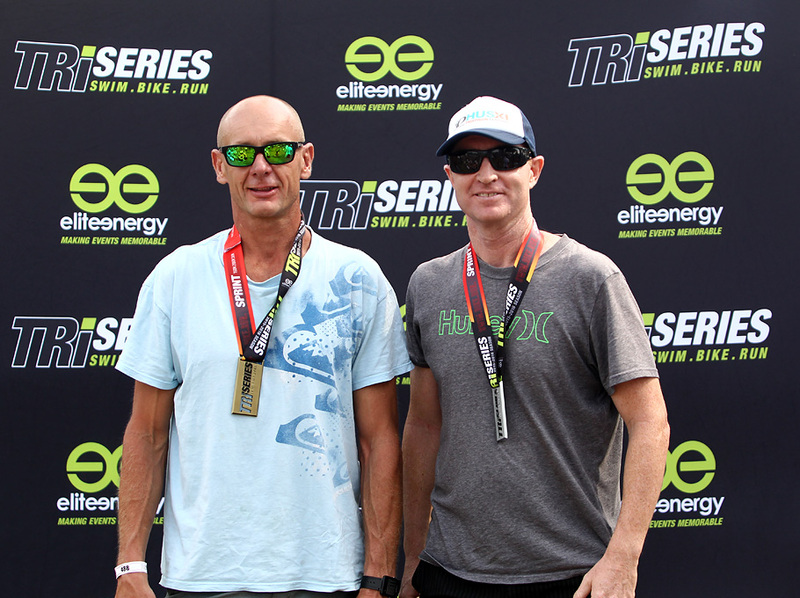 Batemans Bay could well be one of the most underrated locations for a triathlon and the Elite Energy event that takes place in the picturesque Eurobodalla Shire is a real gem, offering something for everyone. 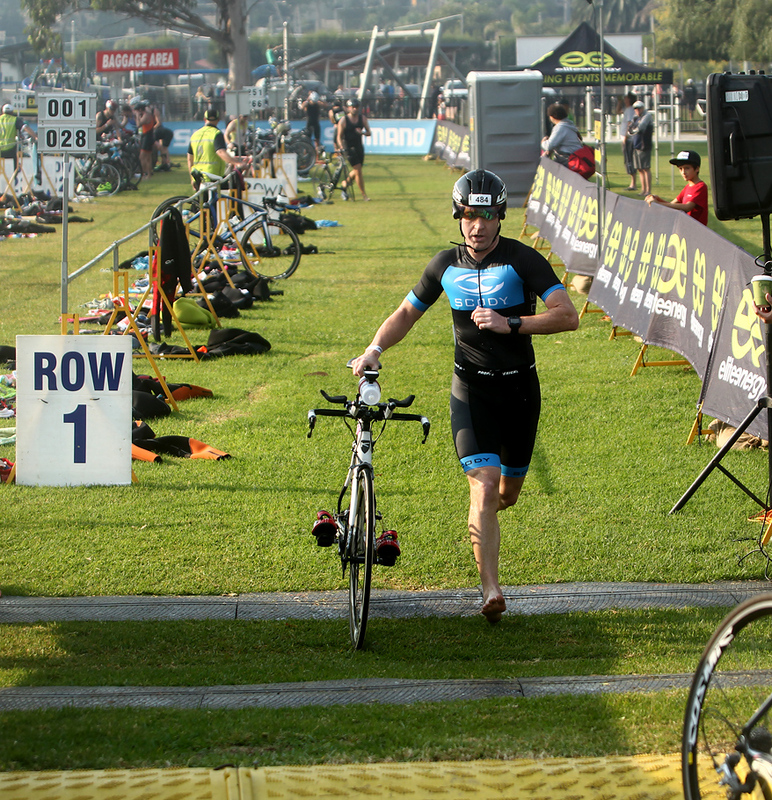 Having raced my second ever triathlon there just a year earlier, I was looking forward to the return. A small amount of confusion arose at the race briefing with a bike and run course being announced that differed to the competitor information. Thankfully it was all soon alleviated and it was re-announced that the original course was in fact the one that would be raced. The swim was held at the scenic Corrigans Beach and entailed a rectangular course with a deep-water start. The cooler southern conditions meant it was a wetsuit swim. With a large conglomerate of age-groups starting together in my wave, it made for a fairly busy start but I was able to find open water for the bulk of the 750m barring the standard bash-and-barge traffic that so often occurs around the turning buoys. With that out of the way I was in and out of T1 in a hurry and heard the announcer mention that I was in third position in my age-group. The bike course is easily the most challenging that I have encountered in my relatively short triathlon career, encompassing a myriad of hills, most of them short and sharp. In total it was around 400m of elevation in the 20km circuit which is both a challenge and a lot of fun. I didn’t encounter too many other riders out on the course other than a couple of guys who were clearly younger than me. It is definitely not a course for fast splits or high average speeds but I felt like I had ridden it as hard as I could with what I had on the day and it was going to be interesting to see how the legs coped with this going into the run, I exited T2 still in third position. The run course is a beautiful flat gallop along the foreshore of Batehaven and Catalina and I felt reasonably good from the moment I left transition. The further I went, the better I felt which is in no small part due to the regular Thursday Project M run squad sessions which are a great simulation of a sprint run-leg like this. I was not only able to lower my own 5km PB (which includes runs that are not off the bike) but I also recorded the fastest run-split of my age group; something that I have never done before in any leg of any triathlon. In the wash-up, I had ran into second placing in my age-group and 24th overall in the sprint field which is easily the best results I have returned in that department. 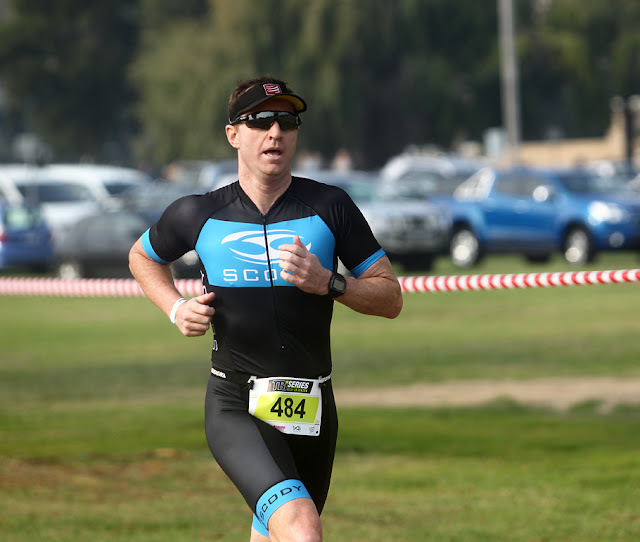 I’m now looking forward to stepping up to the standard distance at Port Stephens in late May before ripping into a big block of winter training.